Looking to beat the Austin heat this summer? Chill out with some of the coolest treats in town, including artisan ice cream cones and frothy frozen cocktails, found everywhere from food trucks to hip lounges. Lick Honest Ice Creams. Credit Annie Ray. This friendly food trailer brings the flavors of Thailand to Austin. Thai-style ice cream is made to order by pouring your choice of dairy or coconut milk onto a steel plate chilled to -30°F. Once frozen into a thin layer, the ice cream is scraped into rolls and garnished with your choice of “chops” that include fruit, cookies and candies, along with toppings such as whipped cream and rainbow sprinkles. In the mood for a classic scoop? Take a trip to one of the 12 Amy’s locations found across town. 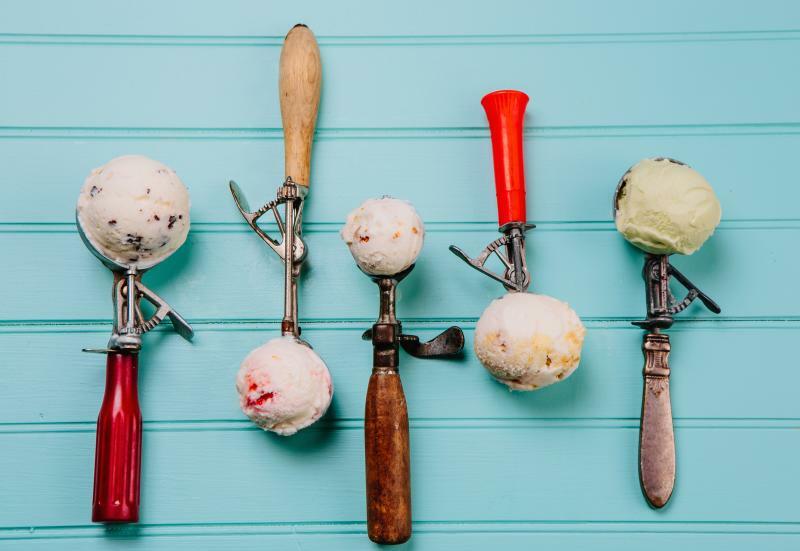 There are 350 specialty ice cream flavors in rotation (the Mexican vanilla is a favorite), or you can build your own signature flavor with their crush’ns (toppings) that include everything from fresh strawberries to ginger snaps. Cool off with a cone from this artisan ice cream shop known for its seasonal confections (with flavor combos like sweet persimmon and sage). All of Lick’s milk and cream is sourced from a family-owned Central Texas dairy farm. And everything from syrups to marshmallows and waffle cones are made in house. Open since 1996, this family-run snowball stand cooks up more than 70 syrup flavors made with pure cane sugar. You’ll find traditional New Orleans-style chocolate and cream syrups, along with customer favorites like Orchid Cream Vanilla and Boston Cream Pie. The flavored syrups are poured over snow and served up in a cup. Steel City Pops is known for its variety of fruity frozen treats. The pops are made with fresh fruit and organic cane sugar, and include unique flavors like Champagne White Tea and Mango Habanero. Creamy pops like the citrusy Avocado and cookie pops such as Strawberry Shortcake are also offered. Customize your pop with a dip in dark chocolate or dust it with sea salt. Strawberry Champ-jito. Courtesy of 77 Degrees. Who says popsicles are just for kids? 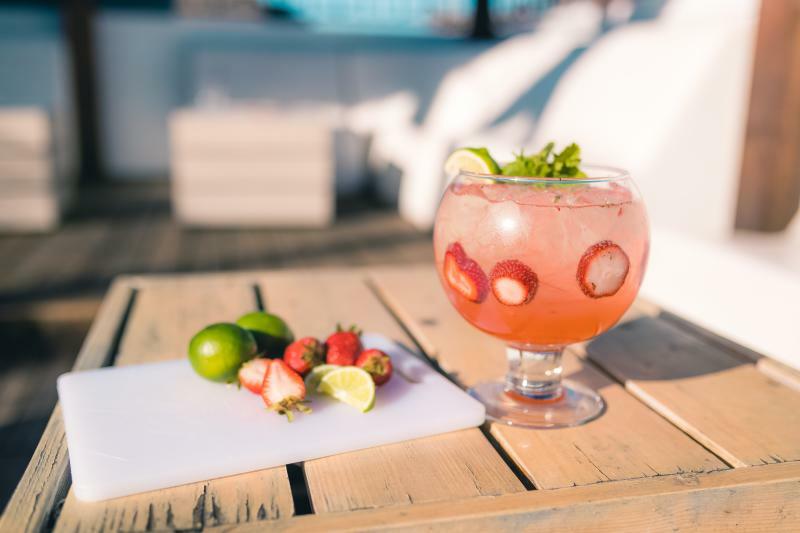 77°, a three-level rooftop bar located in the trendy Rock Rose entertainment district, has created wine-infused ice pops in popular cocktail flavors like strawberry daiquiri, mimosa orange and the classic margarita. Feeling fancy? The lounge at Hotel San Jose serves up their famous frozen Rosé with lemon. This sweet summery treat is delicious and pretty, and is best enjoyed in the leafy courtyard (which happens to be a great spot for people watching). Boozy ice cream creations are the specialty of the house at Prohibition Creamery. Small batch ice creams and vegan sorbets are blended with everything from bourbon to wine to create sweet combinations like Whiskey Chocolate and Sangria Sorbet. You don’t have to feel guilty while enjoying chilly treats! If you want a healthier option, Blenders and Bowls serves up smoothies and Acaí bowls daily. Not only will these treats cool you off, they’ll fill you with nutrients and energy. There are lots of Mexican treats to choose from here, but don’t pass up the Fresas Con Crema, a deliciously sweet confection of strawberries and cream. The cream is a mix of condensed milk, Mexican sour cream and sugar that’s dotted with diced strawberries. Top it off whipped cream, chopped nuts and even more fruit, such as blueberries or raspberries.